This class is a flowing vinyasa style class using sequential movement that interlinks postures to form a continuous flow. It is excellent for increasing aerobic fitness and strength as well as flexibility. It is a stronger style of class and a little more challenging. However as with all our classes easy options are given, so you can make it as easy or challenging as you’d like. A flowing style of yoga which allows the body to move with the power of the inhale and exhale. Our creative teachers will blend elements of vinyasa, hatha, ashtanga and other more dynamic yoga practices within their expertise to bring you the ultimate in flowing yoga. An active and energising class. Prepare to move your body and build some heat. An early morning wake-up class designed to set you up for an excellent day ahead! A series of poses executed in swift succession combined with deep, controlled breathing. It is intended to realign the spine, detoxify the body, and build strength, flexibility, and stamina. Beginning with sun salutations to warm your body then moving on to standing poses, seated poses, inversions, and backbends before relaxation. These classes are taught with variations to each posture to suit all levels of experience. 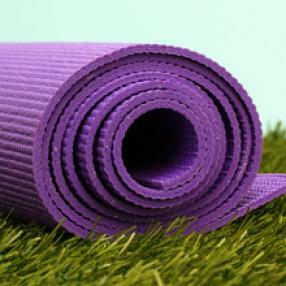 Suitable for students that have been practicing yoga or regularly partake in other physical activities. More advanced postures offered. A different approach to building heat and intensity. 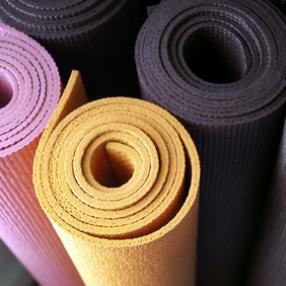 Align & Flow classes sculpt and tone the muscles of both body AND mind. With an emphasis on alignment as a way to heal old injuries and prevent new ones, you will restore and transform your body. A strong, but intelligent practice that encourages you to cultivate a quality of attention in your asana that you can take into your daily life. Open to all levels. An uplifting class where poses will vary from longer holds in asana, mindful sequences with moderate flow and stillness between poses for integration. An introduction of pranayama/breath work may be included. This class aims to bring balance to mind, body and soul. Conditioning and strengthening whilst creative and playful. Slow and deep, we only use a few floor poses and hold them for longer. Feeling fatigued? Better than a hit of caffeine, the ‘Power Nap’ has gained the backing of science for its ability to increase alertness, performance and mood as well as decrease your stress level! Our 30-minute Power Nap is a class devoted to creating the perfect space for midday rest and rejuvenation. No need to change your clothes, come straight from the office and join us for 30-minutes of blissful rest and relaxation. Hatha yoga for all - men, women and children. Specializing in yoga, breath awareness, relaxation and meditation.